Hey everybody! 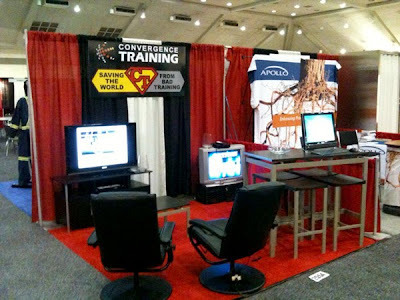 We’re here in Baltimore at the Safety 2010 Expo, getting people excited about our cutting-edge training materials. We’ve got a great booth set up, so if you’re in the industry, in the area, or planning on going to the show, stop by to see our stuff and how it compares to the rest of what’s out there. Plus! 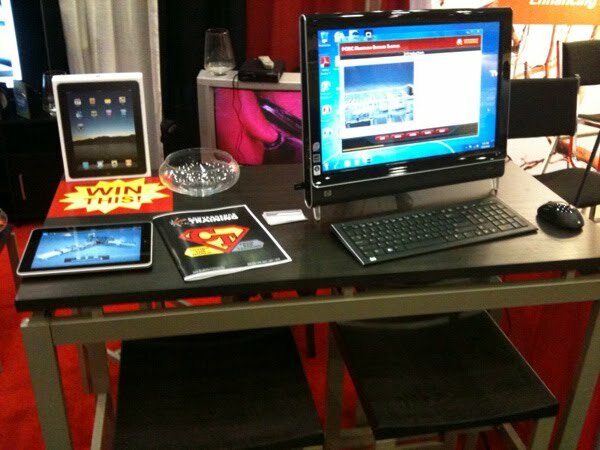 Enter to win an iPad or a flat-screen tv. Plus! Massage chairs. Plus! Randy, Scott, and Bjorn from Convergence and the best safety training videos on the market. The Convergence booth. Head-to-head competition between “The Best” and “The Rest”. 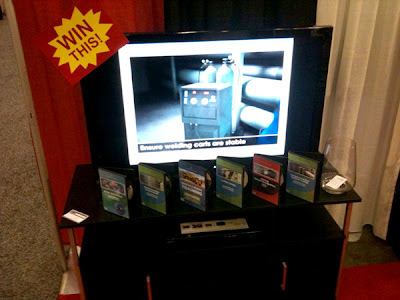 Some of our OSHA and MSHA training DVDs, along with the TV we’re raffling off. Check out our web-delivery option for your training needs. See it on the iPad. Win the iPad!